Happy Sunday and, even more importantly, happy World Nutella Day! Be sure to check back here this afternoon, because I have a special recipe to share to commemorate this delicious holiday. But first: the meal plan. Ever since I was so sick a week or so ago, I've had a really hard time getting my cooking mojo back. I haven't been motivated to cook, or even to plan our meals. This marks yet another week when I cobbled together our plan at the last minute, just so I could make my list for the grocery store. I am pretty excited about all of these meals, though -- now I just need to actually make myself cook them! 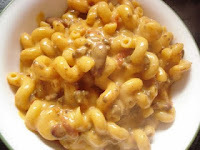 Monday: Chili mac and cheese, corn. My favorite part about making a pot of chili, like I'm doing tonight? Using the leftovers for this mac and chese. Tuesday: Chicken with pimiento cheese sauce, rice pilaf, steamed broccoli. A couple of weeks ago, I tried a chicken dish stuffed with a pimiento cheese mixture, but as I was eating it I was thinking of a million ways I'd change it. This is my attempt to turn it into something I think my family will enjoy even more than the original dish (which was pretty good in its own right). Wednesday: Chicken salad sandwiches, chips, fruit. 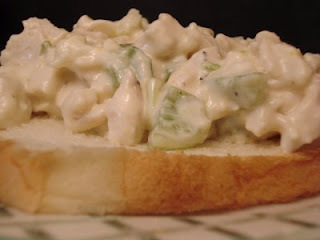 I love sandwich night, and a chicken salad sandwich is one of my favorites. Thursday: Mozzarella-baked gnocchi. Just the sight of all that melted cheese is enough to make me drool. This is definitely a family favorite. Friday: Chicken fajitas and Mexican rice. I haven't made fajitas in a long time. I'll be using a marinade for these that I used to use when I made them all the time, and I'm excited to share it with you. Saturday: Cheesy sausage penne. We really love this casserole. Sunday: Grilled Cajun ranch chicken pasta. This pasta looks fantastic. I'm hoping that the mild winter we've been having continues for another week, so Joe can cook the chicken on the outdoor grill.